Black Caps all-rounder Mitchell Santner, who has been away from cricketing action since sustaining a knee injury in March, has been cleared to play cricket after undergoing surgery. The 26-year-old was on fire before the nine-month layoff, dishing out impressive returns with the bat and ball against Australia and England earlier this year. 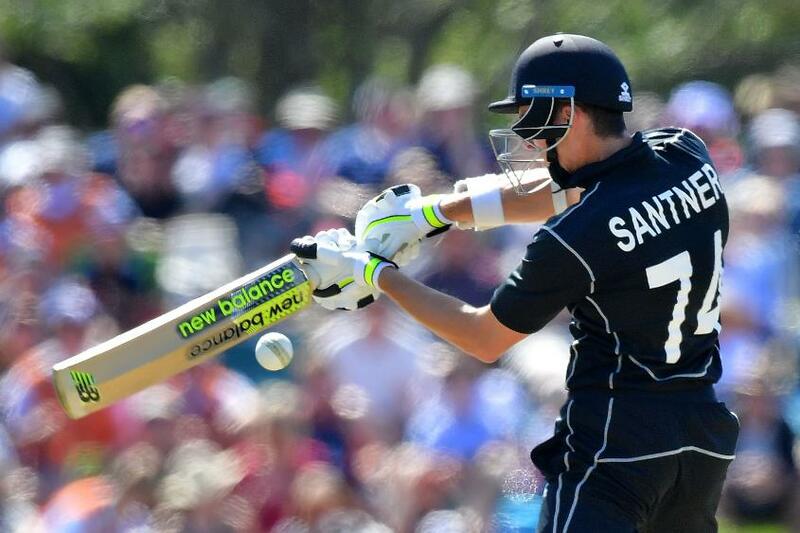 In nine limited-overs fixtures against the two oppositions, Santner amassed 217 runs in five batting innings and claimed six scalps with his left-arm orthodox spin. However, after a series of scans revealed a bone defect in his right knee, Santner had to take time off the sport to undergo surgery. "He's been bowling and batting and progressing really well with his knee, so club cricket's the next step for him," New Zealand's high-performance manager, Bryan Stronach, said. "We'll assess to see how he's going after that, whether he carries on playing club cricket, or we progress towards the other stuff. "One thing we try to do with these guys is not get too ahead of ourselves. If you set too many goals in stone and it doesn't work, then the disappointment is huge, whereas if you take each milestone as it comes, we can deal with that." The Black Caps are currently in the UAE, where they are locking horns with Pakistan in an intriguing Test series. From there, Kane Williamson and his team return home to host Sri Lanka, who will visit to play two Tests, three one-day internationals and a T20 international. SQUAD ANNOUNCEMENT: Dinesh Chandimal returns to lead Sri Lanka in the upcoming Test series in New Zealand. If all goes well, Santner could return to the national squad for the ODI series, which begins on 3 January. "The Sri Lankan stuff could be on the table if all goes well, but I think for him it's, 'let's get through club cricket and then we'll reassess from there'", added Stronach. "He had a good winter of T20 over in England. Although he didn't bowl in too many games for his side, he was actually doing quite a bit of bowling at training, and we're looking to build him back up through one-day cricket, because to be in contention for the World Cup, he's a bowler for that side, and the ideal balance of the team would have him bowling as well." Santner was scheduled to play club cricket on Saturday, 1 December, but the weather conditions in Hamilton have not been suitable for action.